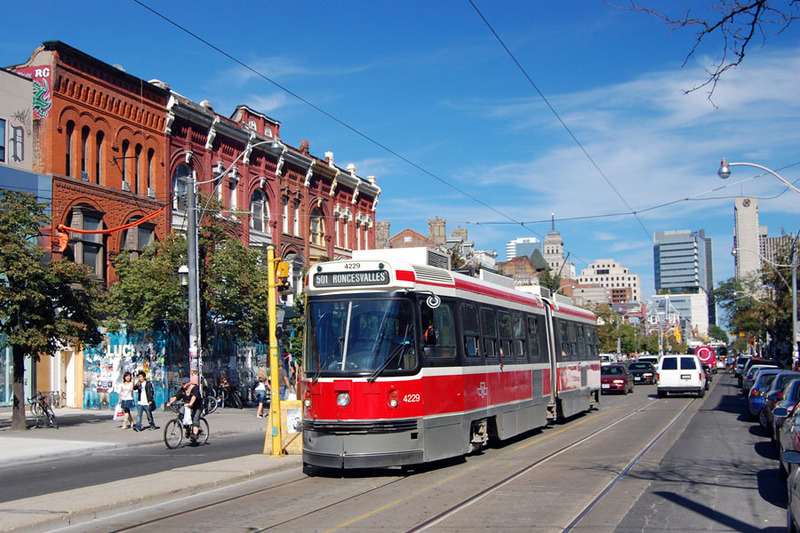 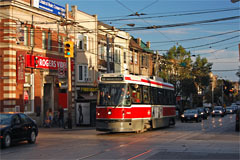 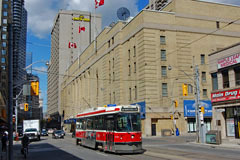 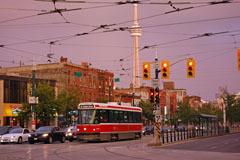 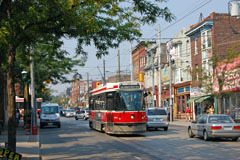 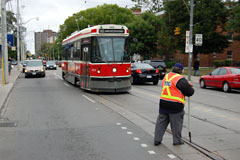 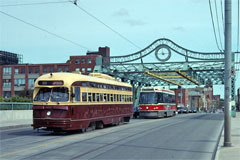 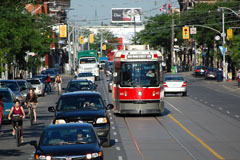 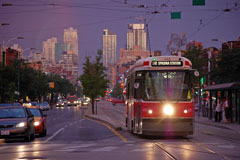 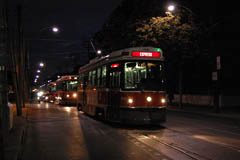 Articulated LRV 4229 in 501 service, westbound on Queen Street at Spadina Avenue. 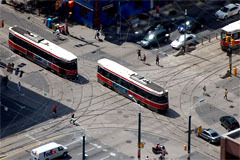 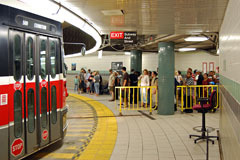 TTC is searching for ways to reduce delays on this line. 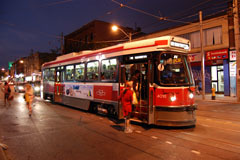 Scheduled one-way trip is an hour and a half.